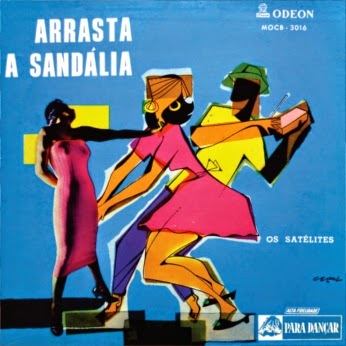 Mixed vocal conjunto Os Satélites for the first and unfortunately probably the last time on Parallel Realities as this is, as far as I could find out, their only career album, and so far I did not see any compactos or 78 rpms mentioned. There is almost nothing I can tell you about Os Satélites as I do not know anything. The back cover text, written by Lúcio Rangel, does contain some historical facts about Samba (starting from 1917), with focus on the individual compositions and their composers, also a few words about Maestro Pachequinho who has done the arrangements and, if I understood right, his orchestra is performing the music. Lúcio Rangel also clearly states that vocals are by Os Satélites but does not reveal neither names nor the number of members.